This book provides you with insight into how to build the foundation of your eBusiness application. 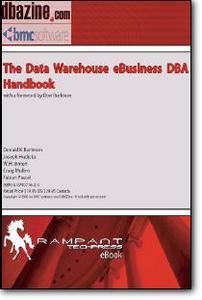 You’ll learn the importance of the Data Warehouse in your daily operations. You’ll gain lots of insight into how to properly design and build your information architecture to handle the rapid growth that eCommerce business sees today. Once your system is up and running, it must be maintained. There is information in this text that goes through how to maintain online data systems to reduce downtime. Keeping your online data secure is another big issue with online business. To wrap things up, you’ll get links to some of the best online resources on Data Warehousing.